Third seed Sloane Stephens continued her impressive run at the US Open, this time defeating the dangerous Elise Mertens in the fourth round with a 6-3, 6-3 scoreline. Another stunning performance from the defending champion and third seed Sloane Stephens saw her exacting revenge for her defeat in Cincinnati to Elise Mertens, defeating the Belgian in a high-quality straight-sets encounter under the lights of the magnificent Arthur Ashe Stadium for a place in the quarterfinals. Coming out of nowhere to hoist the US Open trophy last year, the American is back hoping to lift the title once more. Mertens was extremely erratic during the one-hour and 26-minute encounter, committing 35 unforced errors and finding only 12 winners. Stephens’ statistics were much cleaner, producing just 25 errors alongside 17 winners as her counterpunching skills often frustrated the Belgian. Mertens won less than half of her first-serve points while Stephens impressively clinched 73 percent of points behind her first ​serves. Next up for Stephens would be a quarterfinal rematch with the crafty Anastasija Sevastova, who she got in a tussle with last year. Sevastova managed to push her into a final-set tiebreak and was just inches away for clinching the win. 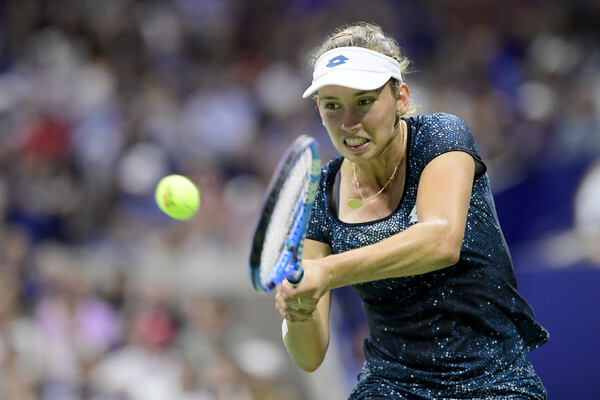 They met just three weeks ago in Montreal, but this time the world number three triumphed with a convincing 6-2, 6-2 scoreline as she looks to replicate that victory on Tuesday once more. After fending off multiple break points in a lengthy opening game to hold serve, it was Stephens who had the better start as she was able to draw the first blood and make the first breakthrough. Nerves were certainly evident in Mertens’ game, whose hands were bounded by nerves and sent in a double-fault on break point to gift Stephens the lead. Understandably, playing in the biggest stadium of tennis for just the second time in her career will definitely give you some chills considering the atmosphere during the night session as well. Claiming eight of the next 10 points, Mertens came out of nowhere to immediately retrieve the break back with a forehand winner before returning level with a backhand winner. However, from there it was just one-way traffic as Stephens pounced on her opponent’s abundance of unforced errors, particularly on the forehand wing, to take 12 of the last 14 points together with the first set after 41 minutes of play. A quick exchange of breaks started the second set but almost everything went the server’s way in the set. A lapse in focus from Mertens while serving at 4-3 40-15 saw her being broken and Stephens, as a result, managed to consolidate the break and placed herself just a game away from triumphing. The Belgian struggled with her consistency while Stephens was rock solid, not giving her opponent any free gifts. Serving to stay in the match, Mertens’ night just got worse as she lost her serve for the fifth time in the match, and Stephens fired a forehand winner to prevail after just 86 minutes of play.